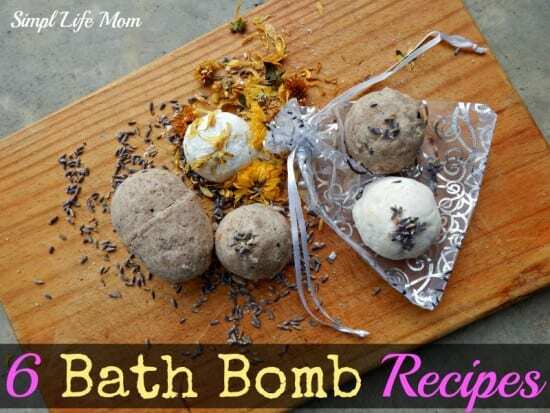 Bath Bombs are a fun gift to give that even your kids can make. Plus, they can be therapeutic and medicinal when you add essential oils. Therefore, Viola! 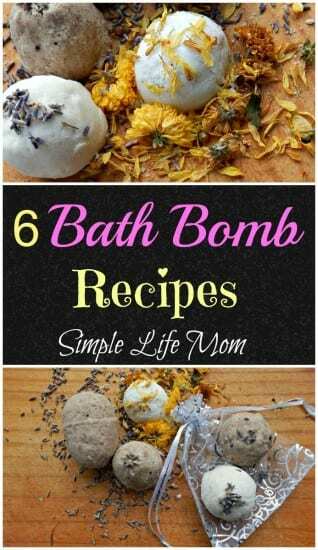 6 Amazing Bath Bomb Recipes! If you are interested in trying out a bath bomb for yourself why not visit Grain & Gram where they sell scentsy bath bomb products. Be careful because the citric acid is that you buy in the store is not made from lemons, but is manufactured using mold from corn starches. It’s not the mold aspect that bothers me, it’s other possibilities and GMO contaminates. So just make sure you choose a brand that clearly states Non-GMO like this one: Citric Acid. Add essential oils and shea butter. Add the witch hazel very slowly (you can even use a spray bottle). You may find that you don’t need it at all. Stop when the mixture sticks together when squeezed. Add to mold (you can use muffin tins), adding any topping if desired (see below). Add the witch hazel very slowly (you can even use a spray bottle). Stop when the mixture sticks together when squeezed. Add oil very slowly. Stop when the mixture sticks together when squeezed. There are a lot of different objects that can be used as molds. Round bath bombs probably hold together better, because corners can easily be knocked off. But think outside the box. They don’t have to be round. They can be square, triangular, heart shaped, etc. It depends on your mold. You can make bath bombs pretty by adding a pinch of something to the top. Here are some ideas. I used beet root powder for the pink/purple color in the pictures above. Try turmeric for yellow, or spirulina for green, alkanet root powder for purple, or substitute grape juice for some of the liquid. I hope you enjoy them! If you have any questions or more ideas, please comment below. Those sound like great ideas! Thanks for sharing. Have a great week! These sound so easy and are such great ideas for gifts! 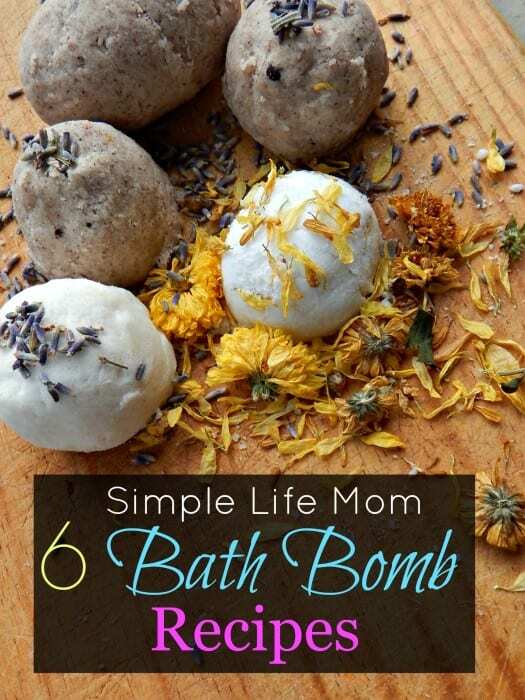 I had no idea homemade bath bombs were a thing! Thanks for sharing. I found you at the Modest Mom. Hi Kelly – These look wonderful. Thanks so much for sharing them with the Let’s Get Real party. Do these need to be baked or how long do they need to set after putting them in muffin tins? Thanks!! Just let them sit overnight. Knowledge IS power. I’m so glad you are starting to find things that are helpful to you. I’m wondering if the frankincense extract oil may help you as well. I hope so. God bless you on your journey through this crazy, but wonderful life. I made several types of bombs the last couple of days: shea butter, herbal tea (raspberry), bentonite clay, and oatmeal. I couldn’t get them to hold together as the recipe said, so I ended up adding way more oil, shea butter, or witch hazel. The bentonite clay ones ended up being way greasy and mushy but ended up finally holding a shape. After the first batch, I gave up on the molds, and just formed balls or pressed them into a round kitchen item of some sort, then setting them out on wax paper to dry. I’m itching to try them out and hoping they’ll be good. They’re intended for gifts. How long should I let them dry before putting them into airtight containers? Sorry you had difficulty. I’ve had batches that have given me problems before as well. Weather and humidity plays a big role. You want to make sure they are very hard. Wait several hours or overnight and then go ahead and store them. If you’ve added citric acid and essential oils, storing this quickly will make sure they have a good scent and fizz when used. i made mredicated bath bombs with your herbal bomb recepie. Each bomb has 8.mg hemp extract cbd in them, along with frankenscence, lavender and sweet otange essential oil and dandelion tea! Should be pain relieving – thanks for the inspiration. Carmen, that’s wonderful. I love your additions!